Linking up with some great ladies today to share some of my favorite finds from this week! This job beats all other jobs...hands down. I definitely want to try this recipe this weekend - I'm always in the mood for curry. My favorite show has announced their Season 3 release date. 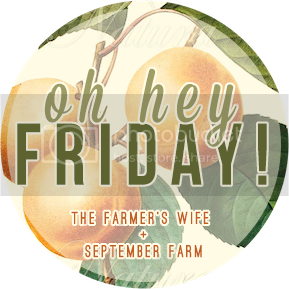 Join the link ups and share you Friday favorites!! So excited for Fixer Upper to be back! It's one of my favorite shows too! I'm going to check out that curry recipe, it sounds exactly like what my husband gets whenever we order thai food! ON is so on point with that rain jacket! Love those fall fashion pics. I'm definitely ready to start wearing fall clothes! Loving all these fall pieces! Hope you had a great weekend!